Omo, what an infectious smile! Original run: May 8, 2015 – ??? 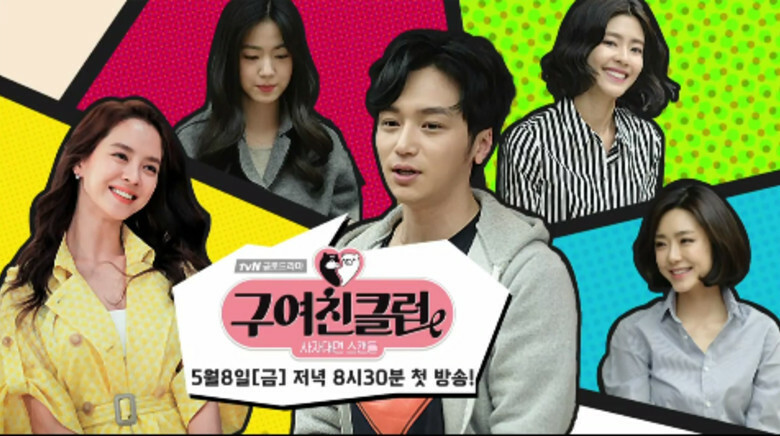 Bang Myeong Soo is cartoonist who made his success based on a webtoon about his three ex-girlfriends: his first love, Na Ji Ah, the fiesty businesswoman Jang Hwa Young and the flirty actress Lara. Kim Soo Jin is a producer who is tasked with making Myeong Soo’s webtoon into a movie. As the story would have it, Soo Jin had once harbored a secret love for Myeong Soo and still carries a bit of a torch for him till this day, even though he is convinced they are just best buds. Thrown into the mix are the three ex-girlfriends who want their say in how the script is written, and a hard to please director. What will happen? Will the production go on or will it be stopped dead in its tracks? I had never seen Song Ji Hyo in anything besides Running Man so my impression of her is super limited, but for some reason she just does not appeal to me despite her towering popularity. However, once I found out that Byun Ho Yan is starring in this I had to give it a try. I mean he is, after all, the man I said that reminds of me Jang Geun Suk whom I love very dearly (OMG, whyyyy haven’t you made anything recently, JGS???). It must be the smile; it is just so contagious! Plus, I really enjoyed Byun’s performance in Misaeng. I remember thinking to myself that Byun Ho Yan is going to really make it because he did so well in Misaeng, and here he is in his first starring role! Of course I must support it by at least watching one or two episodes. And boy am I glad I did! I have seen all four episodes that are out already and I’m waiting with baited breath for the next episode to release tomorrow. The concept is nothing new, but it is totally entertaining and funny. All the characters have very distinct personalities and traits, and I love the mix of them on screen. I have to admit though, that sometimes the ex-girlfriends can be too much if they all appear at once (and an inevitable cat-fight ensues), but I’m interested in their own stories with Myeong Soo. Moreover, I think Soo Jin is a very relateable person (c’mon, we all had those one-sided loves) and it’s easy to root for her, especially when she is in a room of crazies. Byun Ho Yan does not disappoint either. I love how natural he seems in his role, but it is not a far departure from his character in Misaeng. I hope that this is just a stepping stone for more leads in the future, and he will not get typecast because of it. I’m also interested to see Do Sang Woo as the difficult director Jo Geun in this. I saw him in It’s Okay, That’s Love last summer and have been wondering when I’ll see him again. I don’t know if he is supposed to be the second lead yet (most likely), but his character is already very intriguing. Over all I would say definitely give this series a shot. You probably won’t learn important life lessons from it, but it provides a few good laughs a path to wind down after a long hard day. Byun Yo Han rose to fame in 2014 tvN series Misaeng and he won the Independent Star Award for film Socialphobia at the 40th Seoul Independent Film Festival. Rumor has it that he will be in series Six Flying Dragons next. 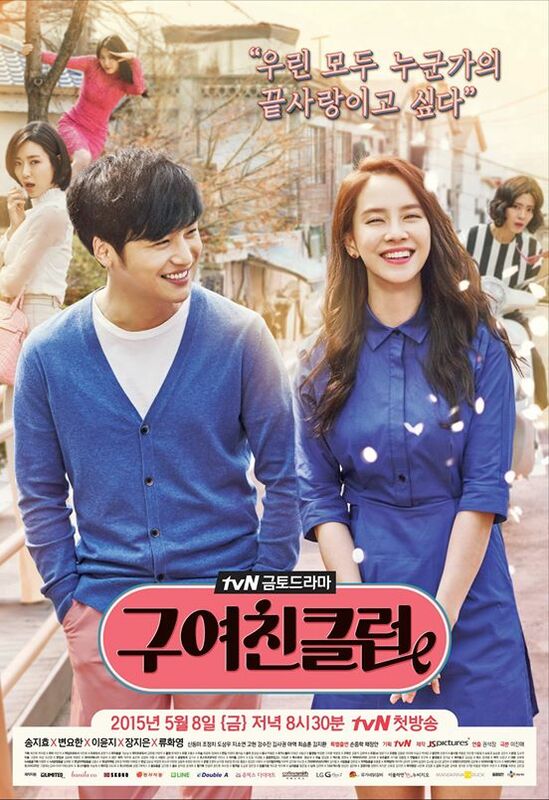 Song Ji Hyo had wanted to become an actress after watching Promise, a 1998 film starring Park Shin Yang. She is a regular on variety show Running Man and recently starred in Emergency Couple. Lee Yoon Ji was last in Dr. Frost. She played Shin’s sister in Princess Hours which also featured Song Ji Hyo. Lee got married to a dentist on September 27, 2014 in a skyscraper named 63 Building. Ryu Hwayoung is a member of South Korean girl band, T-ara. Jo Jung Chi plays Soo Jin’s brother-in-law. He is a South Korean singer. Chae Jung An cameos in episode 1 as herself. Hmmm it may not be for anyone. I think it sort of reminds me of Marriage Not Dating in terms of the style. It’s definitely got a busy cast, so we will see if it turns out well. I do think the plot is thickening in episode 5 according to the previews anyway!